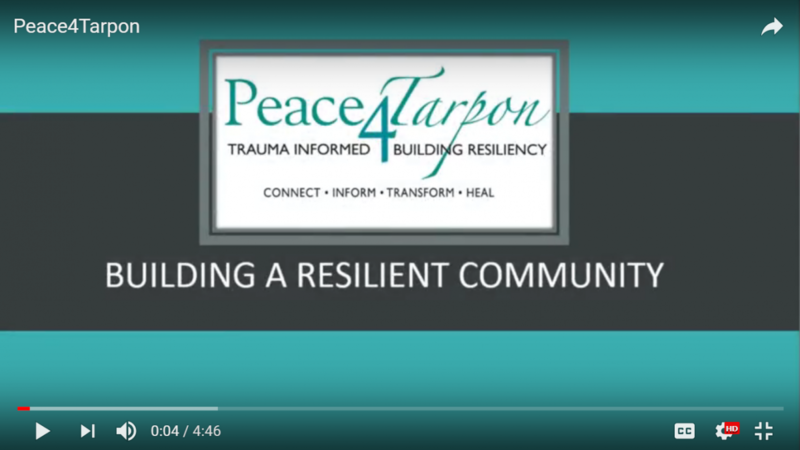 Peace4Tarpon Trauma Informed Community Initiative is a grassroots effort – the first of its kind in the nation. Peace4Tarpon looks through a “trauma informed lens” to seek the root causes of our most challenging issues rather than addressing symptoms. We are working to create a peaceful and thriving Tarpon Springs. Peace4Tarpon Champions talk about their work throughout the community and the Vision of the organization! 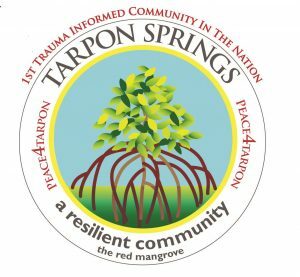 Peace4Tarpon is working to create a peaceful and thriving Tarpon Springs through becoming a Trauma Informed Community. Communities are charged with finding solutions to a wide range of challenges. These include issues such as domestic violence, bullying, joblessness,homelessness, substance abuse and many others. Often, the seeds of these issues were planted many years before they show up in the lives of individuals and communities. If we search for the roots of issues, they can be found in traumatic or adverse experiences which happened to us as children or young adults. Peace4Tarpon is a holistic approach working to solve our most challenging community issues. We seek to understand and address the root causes of issues, not just the symptoms. We know that a connected and trauma aware community is a healthy and resilient community. Human beings are resilient and can heal from trauma, especially when we are all working toward the same vision. Our vision is for the Tarpon Springs Community to become a place where all are safe, healthy,educated, respected and valued. We are all in this together, and as a community, we can do this together! Are you affected by Adverse Childhood Experiences?